Here is page 3 of the August 1978 newsletter. Silver Laughter was very busy during this period, and my booking calendar proves it. 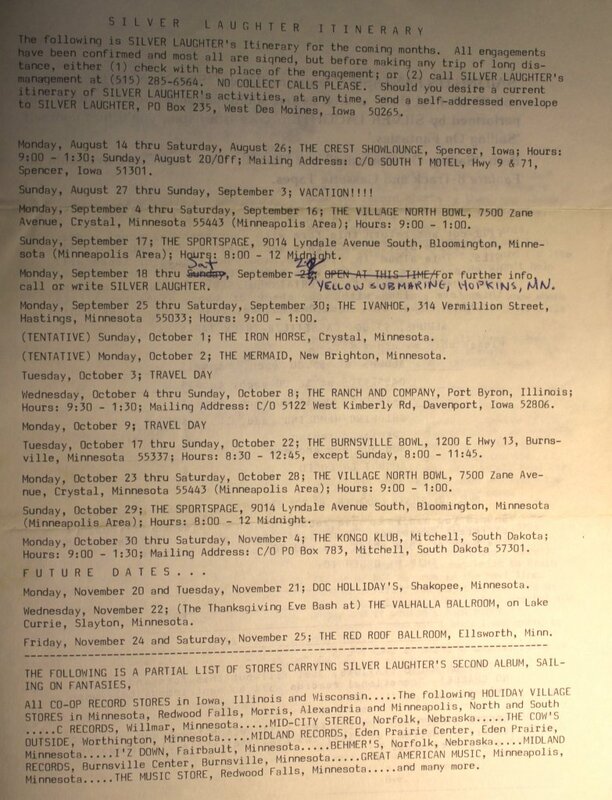 At the bottom of the page it shows many stores where our second album, “Sailing On Fantasies” was being sold. So there are a few copies out there in circulation. Remember, our manager, Art Stenstrom, typed all of these up by hand before having them mimeographed (I think) for mailing to our fans. He did do some work for a print shop in Des Moines, so he may have duplicated them another way.